The San Jose Sharks are one of the best run and most successful franchises the NHL has ever seen. The problem is they have no titles to show for it. Brought into the league as an expansion team in the ’90s, the Sharks have rarely missed the playoffs. In 2016, they reached their pinnacle of success; the Stanley Cup Finals. For lifetime Shark Joe Thornton, the monkey was finally off his back. Then San Jose lost. In 2017, they were again one of the best teams in the league but failed to make it out of the first round of the playoffs. In the offseason, they traded for elite defensemen Erik Karlsson. Then the season started and they lost Joe Thornton. With an improved defense, though, they should be able to make up for the loss of Thornton, who was put on injured reserved after his surgically repaired knee began swelling. It also helps they signed Evander Kane to a large contract extension as insurance for Thornton. Through it all, Karlsson is the missing puzzle piece. Alongside Brent Burns, the Sharks have one of the scariest defenses in the NHL. Karlsson knows he’s landed in a good place, ” I just feel that ever since I got here, it’s just been easy. It’s been an easy transition for me. It’s not been too overwhelming.” What do you think? 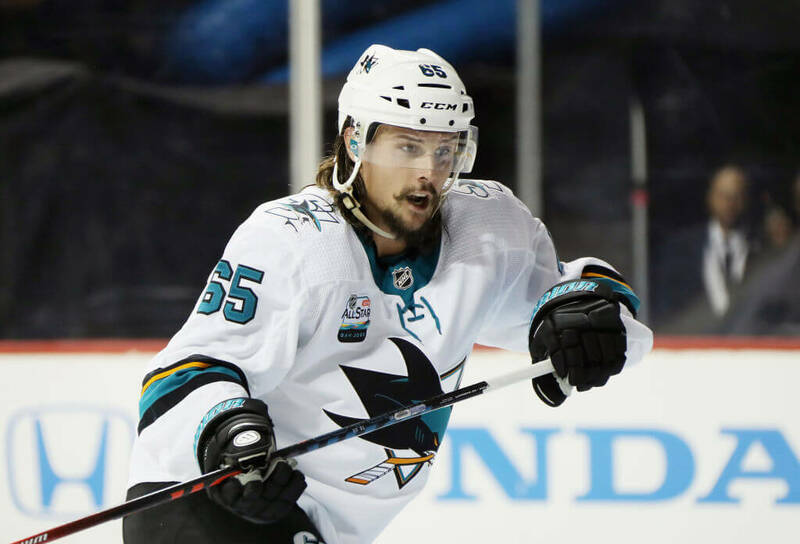 Are the Sharks Stanley Cup favorites with the addition of Karlsson?